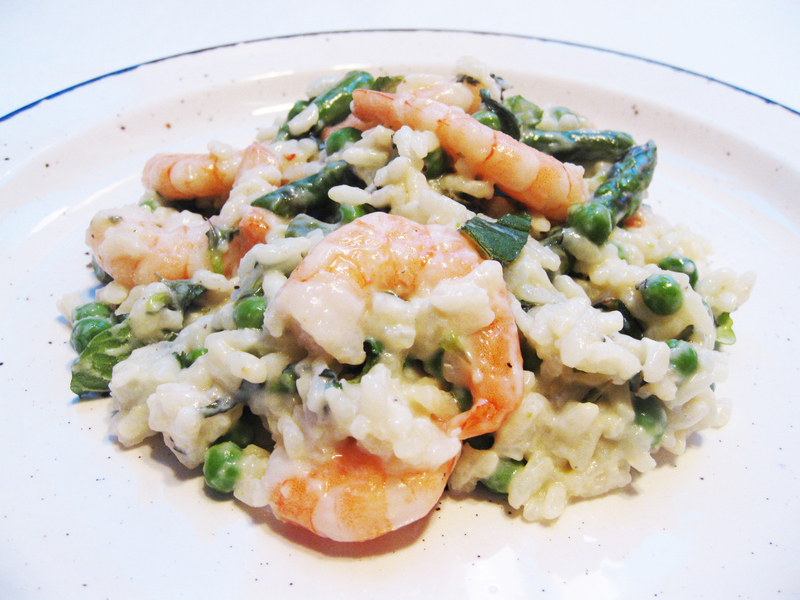 I made this delicious risotto during the asparagus season – along with sweet peas, fresh, aromatic mint, and large, juicy prawns. The soya yogurt gives it a tangy, light creaminess, with the taste of summer. 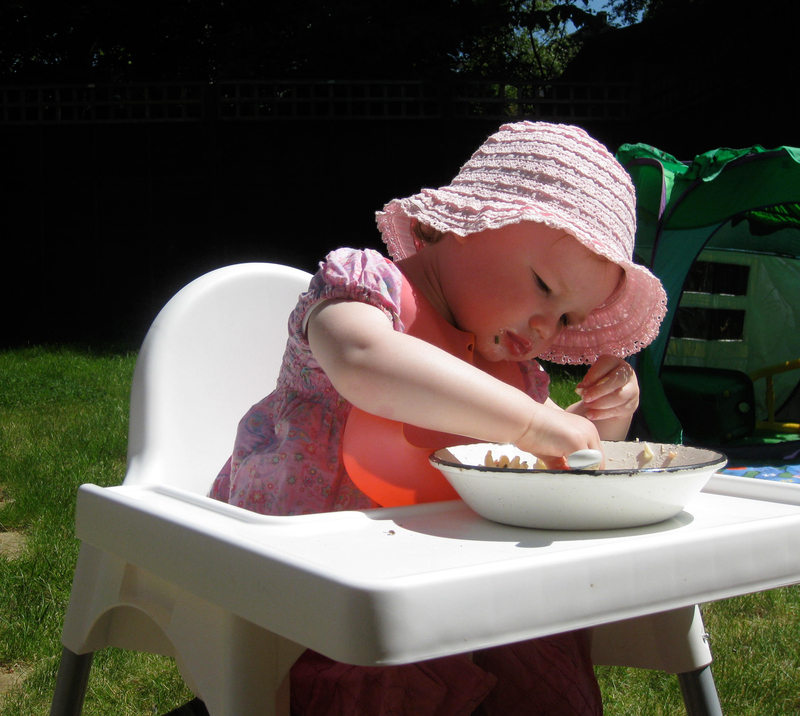 You can leave it out if you don’t have any, but you can easily find soya yogurt in many supermarkets and health food shops now, and it makes all the difference. Heat the oil in a large, heavy-based saucepan over a medium heat. Add the onion and cook for 2–3 minutes until just starting to turn golden. Stir in the garlic and cook for about 30 seconds, then lower the heat and stir in the rice until it is well coated in oil. Pour a little of the wine into the mixture and stir. Continue cooking over a low heat, gradually adding and stirring in the wine, until it has all been absorbed. Add a ladle of the hot stock and stir until all the liquid has been absorbed. Continue adding and stirring in the hot stock for 18–20 minutes until nearly all the liquid has been absorbed. Meanwhile, steam the asparagus stalks in a saucepan of boiling water or a steamer for 1-2 minutes, depending on the thickness of the stalks. Add the tips and the peas and continue to steam for another 2-3 minutes, until the asparagus is just tender but still slightly crunchy. Remove from the heat, drain and set to one side. Pour the yogurt into a mixing bowl and, using a whisk or hand-held electric blender, blend the yogurt until smooth. When the risotto mixture is almost cooked, season lightly with salt and pepper to taste and carefully stir in the prawns, asparagus and peas. Continue to cook for a further minute until the rice is soft but still has a slight bite and all the liquid has been absorbed. Sprinkle in the mint leaves, add the yogurt and stir gently. Serve immediately. Taking some time to make a delicious meal is lovely – but often I want to be able to whizz something together with zero effort. 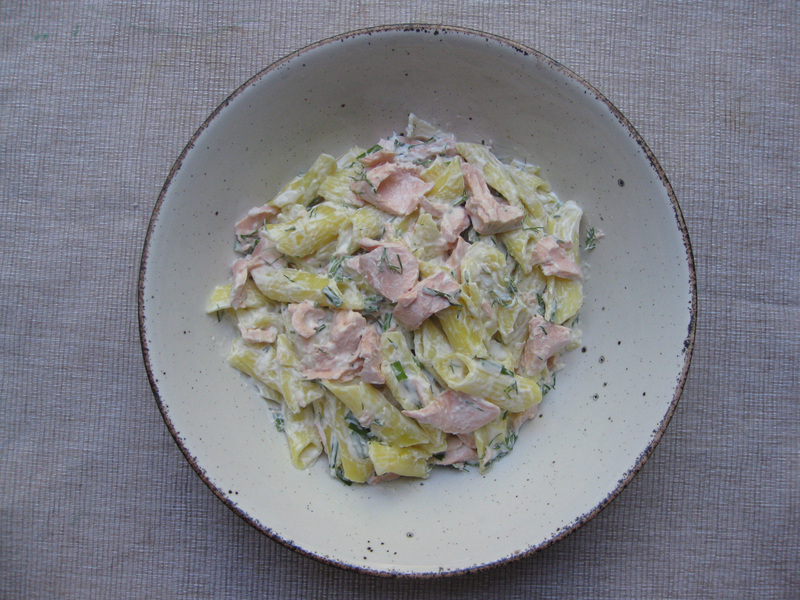 So I made this Creamy Salmon Pasta recipe for lunch at the weekend. Zoe (who’s almost 2 years’ old) loved it! Recently Peter (hubby) and I went on a health blitz for a weekend. We drank loads of juices and ate mainly salads with either pulses or steamed fish. It reminded me just how delicious steamed fish can be – beautifully moist and very soft textured. And the flavours of the fish come through wonderfully. So here I’ve steamed the salmon, instead of frying or baking, to get that gorgeous taste and texture. Grease the skins of the salmon with the oil and put in a steamer. Cook for 12–15 minutes over a high heat, depending on how cooked you like it, until it is cooked through. Take the fish out of the pan and remove the skins. 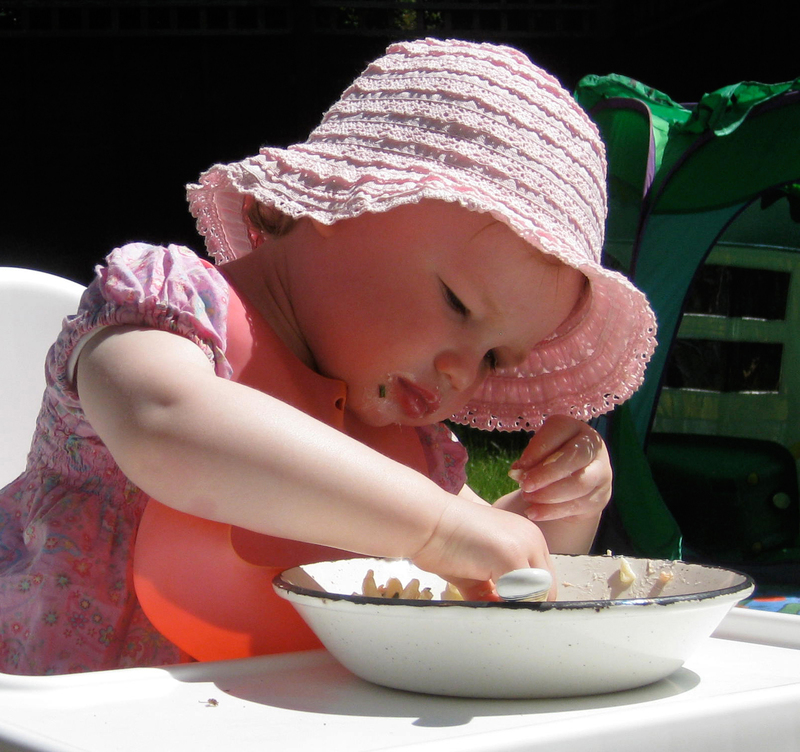 Using a fork, flake the fish, checking for any bones and discarding any you may find. Put the pasta in a large saucepan and cover with boiling water. Pour in the oil and stir well. 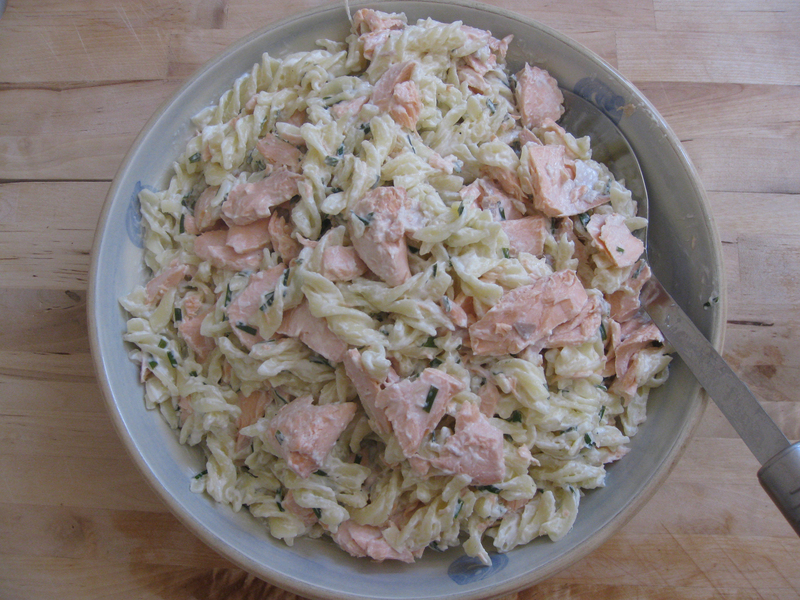 Cook over a medium heat for about 8–10 minutes, or according to the packet instructions, stirring frequently so that the pasta does not stick together. Drain and rinse well with boiling water, then drain again and return to the pan. Mix together the soy cream cheese and lime juice in a large mixing bowl until smooth and cream. Stir in the herbs and the pasta and season with salt and pepper if you like, and stir in thoroughly. Add the salmon, stir in gently and serve. I have to admit, I adore chocolate! I spent ages perfecting this recipe, because I think it’s important to have a truly divine chocolate cake recipe in your life! The secret to the lightness and moistness of this gluten- and dairy-free chocolate cake is in the method. By using two cake tins, wrapping them in greaseproof paper and baking them for a longer, less heat-intensive time, the flours in the mixture cook through but don’t burn or get too dry on the sides. I hope you love this! Preheat the oven to 180°C/350°F/Gas 4. Grease 2 x 22½ x 7½cm baking tins with dairy-free margarine. Break the chocolate into small pieces and place in a large heatproof bowl. Rest the bowl over a pan of gently simmering water, making sure that the bottom of the bowl does not touch the water. Stir from time to time until the chocolate has melted. Using a hand-held electric whisk, beat the margarine and xylitol or sugar together in a large mixing bowl until light and fluffy. Gradually beat in the vanilla extract and then the egg yolks, one at a time. Put the egg whites into a clean bowl and whisk using the clean hand-held electric whisk until they form stiff peaks. Sift the flours, baking powder and xanthum gum into the bowl containing the margarine, sugar and egg yolk mixture and carefully fold in with a metal spoon. Fold in the whisked egg whites making sure the mixture is thoroughly combined but not stirred too heavily, or the air will be lost. Spoon the mixture into the prepared tins, dividing evenly, and spread it into the corners with the back of the spoon. Cover the tins with 2 pieces of greaseproof paper, making sure the ends of the paper are tucked under the tins. Bake for 40 minutes until risen and firm to the touch and a skewer inserted in the centre has just a little mixture sticking to it. Remove from the oven, remove the greaseproof paper and discard. Leave to cool in the tins for 5 minutes, then transfer to a wire rack and leave to cool completely. When the cake layers have cooled, prepare the icing. Melt the chocolate as above. Add the sugar and stir in until thoroughly blended. Meanwhile, heat the soya cream in a small saucepan. Add 1 tbsp water to the cornflour in a small bowl and stir to form a smooth paste. Add the cornflour paste to the soya cream and, using a hand-held electric whisk, whisk the mixture until it has thickened. Pour into the chocolate mixture and stir until thoroughly mixed in. Take one of the cake layers and spread more than half of the icing onto the side which was on the bottom of the cake tin. Sandwich the two layers together and spread the remaining icing on the top.